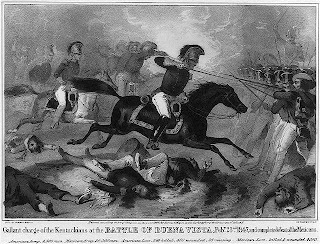 As you've probably already figured out, when it comes to researching institutionalized ancestor's it’s not locating them that is the issue; the problem is how to access the records. Is it even possible? In the post Mental Health Facilities and State Hospital Records, 4 Jan 2010, the case of 3rd Great-Uncle Willis Cox and his daughter Freddie Reba (Cox) Looney from Coffeyville, Kansas and Washington County, Oklahoma, respectively, was shared. As I mentioned there, “not everyone can boast that at any given time one, or more, ancestor was being treated in a State Hospital, but I usually exclaim that my family actually had a wing at the Kansas - Osawatomie State Hospital, also known as the State Insane Asylum." 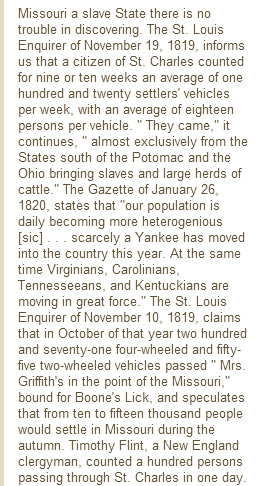 But locating other ancestors scattered across the USA, have been a bit more challenging. (Read Stalking Irish Madness and Me, 11 Jan 2010). Every state has has in place statues specifying the distribution, and release of records of the mentally ill. Many of the earlier records were discarded, leaving perhaps just an index to past patients holding minimum information. The Kansas Statute 65-5603, specifies the information that can be released for family history research. "Examples include: dates of birth and death, dates of stay, names and addresses of family members. Medical information, including the DIAGNOSIS, is not open." To obtain copies from these records, researchers must submit a request form with payment. 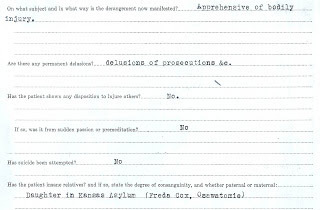 This is the case for the Topeka Kansas State Hospital Records. Although microfilmed records are held at the Kansas Historical Society for patient case files from 1872 until the 1960 "only familial relations of deceased patients and living former patients can request information from these records." Other states, like Minnesota have year restrictions for retrieving hospital records. In Minnesota there is a 50 year hold on all records from the date of admittance. Accessing these restricted records from the Minnesota Historical Society requires a signed "Application and Use Agreement." For more information on privacy and genealogy research read: Privacy Restrictions Keeping You From Research? Prior to State Statutes, often state hospitals like Osawatomie, Kansas discarded the patients’ original files. However, often indices of past patients are still on record. But to successfully obtain a copy of the medical file, the researcher must broaden the search. For many states, like Illinois, state mental hospital records are "closed". Researchers will have to piece information using death certificates, military pension records (sometimes widow pension requests), probate records (sometimes closed if assigned to custodian), cemetery records, and local newspapers to obtain sufficient information. We have also seen copy of medical records submitted and filed with court cases. A complete 100+ page medical record of Willis Cox’s including his examination records, and doctor's observations at the State Hospital were held with his Civil War Pension records. In the "Survey for family medical history" a bit of information from the attending physicians also mentioned his daughter, Freddie Reba’s convalescent time at the State Hospital. 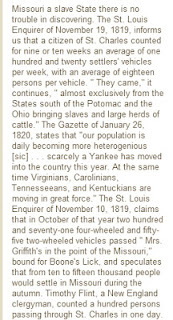 In addition to the sources mentioned above, and exhausting your State Archives and Historical repositories be sure to do a keyword search at the familysearch.org website. Here you will find a variety of state hospital records. For example, the Family Search microfilmed New Orleans (Louisiana). Insane Asylum, Records of the Insane Asylum, 1858-1884 contains records on entries and releases of patients. 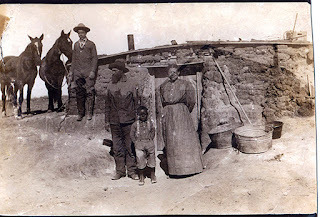 Photo taken 1911, Anthony, Harper County, Kansas. 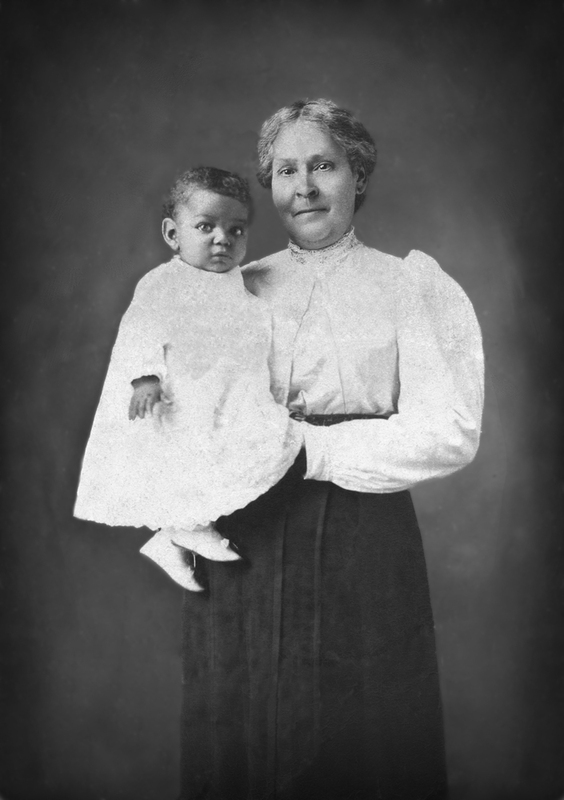 Morris Porter (baby) with grandmother Nola (Morris) Wells Jackson. It doesn’t take much for a family historian to scream. We get excited with every find of a new ancestor, with every little hint to locating the needed historical document, and meeting faraway cousins - all screams of joy, usually followed by our “happy dance.” But we scream the loudest, and of horror, when we pull out that favorite old photo of the sod house, or of a pivotal ancestor and we realize it is fading, and what is left are clear marks of years of abuse. Time to search for solutions to save our family history, and preserve the places and faces for future generations. So what to expect? I turned to Joseph Witkowski, better known as PhotoFixer Joe, located in the Kansas City area. Photofixer Joe came highly recommended by Jenna Mills of Desperately Seeking Surnames. Thanks Jenna! Goal 3 was to preserve the original photo. I was welcoming the thought of less hand touching and exposure to the elements, while still sharing with cousins who clearly have the propensity to touch every detail of the original photo in between licking their fingers dripping of Kansas City Barbeque sauce. I had the pleasure of interviewing Joe. I did not include below the question: “What is the basic process?” But the answer included hints on scanning, use of Photoshop, and proper printing. Visit the PhotoFixerjoe.com website for more information. .
Q1. Tell me about your current business. What are you doing exactly? The mission statement of the business is “helping restore your memories”. I restore and repair damaged and faded photographs that are either historically or emotionally important to someone. Q2. When did you start the business? Photofixerjoe legally started as a business in 2011. However, my education in the darkroom and printing process began 40 years ago when I built my first in home darkroom. I am a huge fan of Ansel Adams and read somewhere that he tweaked his photograph “Moonrise over Hernandez” for about 10 years before he was fully satisfied with his print. I was really curious about what he would have tweaked for 10 years and that began the journey of “manipulating” images. Q3. What is your target market? My target markets are individuals and organizations that are serious about restoring their memories and understand the level of effort involved in this process. It requires an in depth knowledge of whatever software you are using and a lot of patience. 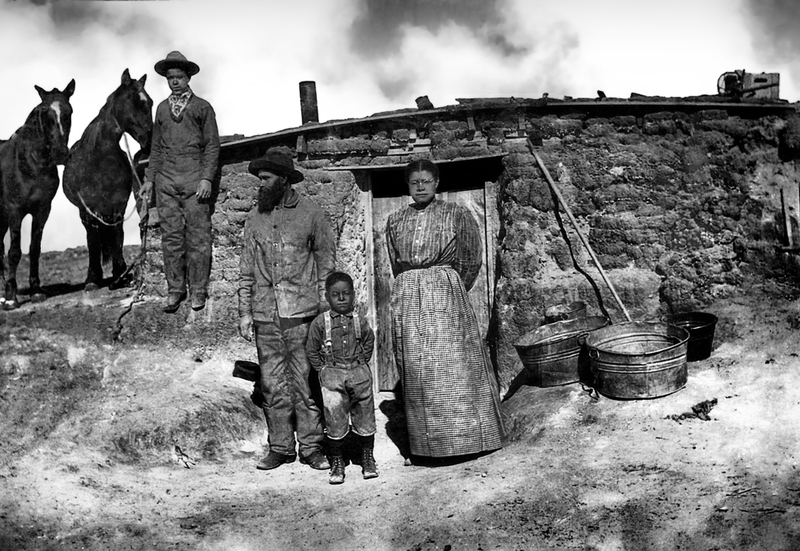 The photograph of your family living in the home built from mud took about 20 to 25 hours to restore. Q4. How did you come up with your business idea? I purchased my first digital camera about 12 years ago. It was 3.2 megapixel and I paid close to $1,000. I think you can get one of those as a gift with a gas fill up nowadays. I needed to process my own prints and purchased the Photoshop 5.0 software. We are now on Photoshop 13 (CS 6). The software was designed with the darkroom process in mind but with greater flexibility. I had fun with changing people’s hair color, adding hair to my friends that didn’t have it and adding other elements into the picture that were not present in the original image. It evolved from doing silly things to making minor repairs. Q5. How do you choose which projects to accept? The projects that most interest me are old and damaged family photos from the 19th and 20th century. I really enjoy studying the images and learning a bit about the people in the picture. I even make up my own stories. I had coin collection when I was young boy and I would think about the people who had the coins and the places the coins may have traveled. I had a fairly active imagination which has helped in the art part of restoration. I also enjoy working on WWII images as well as color faded pictures from the 50’s. Q6. What has been the hardest project and what made it so hard? My hardest project has been the restoration of a damaged picture of a woman, when she was a young girl, with Elvis Presley. Besides the damage, the colors were faded and it was a small snapshot. I knew what a great memory this was for the woman and trying to get the image closer to her memory of the moment was a challenge but I made it happen. I really felt great about her reaction. Q7. 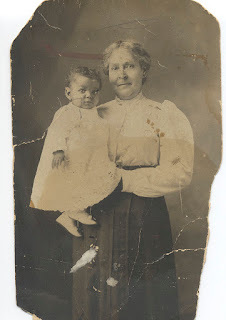 What was your favorite a3Genealogy photo that you restored? Why did you like restoring it? So far, it’s been the image of the family near the mud home. I thought this was just a great picture that really needed to be restored. It looks like a very proud family. 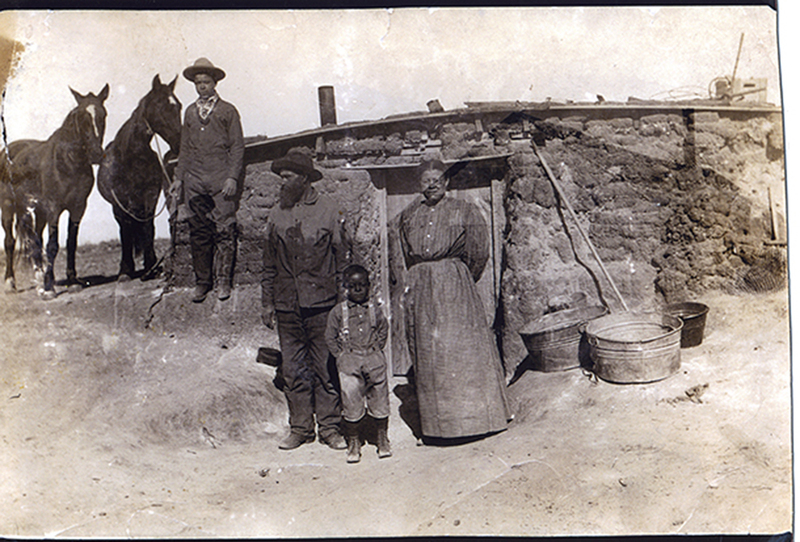 They wanted to show the world they were doing OK by including their two horses and standing outside their home. Everyone but the husband is looking at the camera. In those days the film was very slow which meant the exposure took a few seconds and you had to be very still. This means he was looking away on purpose. That is very cool and it makes me wish I could spend some time with him. The lady having her glasses on adds a level of sophistication because of the use of technology to help improve quality of life. It also shows they were very connected to the outside world. She did not need to wear the glasses for the portrait but did. Just the fact that they had someone take the portrait also shows a level of affluence. I can go on (that darn imagination) but will stop here. Q8. How do you price a project? Pricing depends on the level of effort. It does not take a lot of time to restore a color faded photo from the fifties (how about that for alliteration). If that is all that is involved I would charge $25 and included is a small digital file for social media use and a large digital file for printing purposes. Simple restorations would be anywhere from $50 to $100. For example, your photo with the woman and infant would be right at $100 or maybe just slightly higher. Extensively damaged photos would need to be quoted. All quotes would be provided after I scan the image. Damage that is not visible on smaller prints shows up on the enlarged scan. You can request a custom printed file on high quality paper all the way up to 17 X 22 for an additional charge. Actually, I can print a wall sized mural that would be made up of 17 X 22 segments. Prices are posted at www.photfixerjoe.com. Q9. What do you do for fun? All aspects of photography are fun for me and I love to travel to get exciting images. My wife and I went to Africa in Sept of 2012 on a photo safari. We loved the experience so much that we are going back March 2013. We are both Black Belts in Tae Kwon Do and I am also a Scuba Dive Master. I will share additional restorations April 2013.